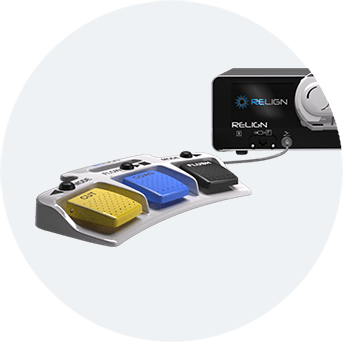 RELIGN’s Tricera™ System is an innovative, integrated arthroscopic radiofrequency device, shaver and fluid management system. The intuitive touchscreen display provides a quick and user-friendly setup. RELIGN’s integrated technology consolidates multiple consoles into one, minimizing space, set up and maintenance of multiple systems. Find out more about this revolutionary advance in arthroscopic surgery. 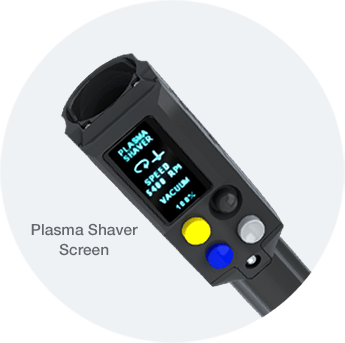 The Tricera Handpiece is an integrated bipolar RF Shaver handpiece with an LCD display. 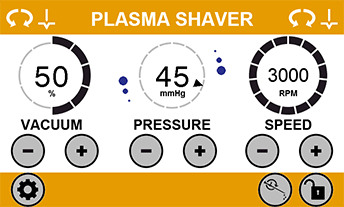 This reusable handpiece gives the surgeon exceptional control of the procedure including the ability to adjust modes, settings, motor speed, joint flush, and suction. 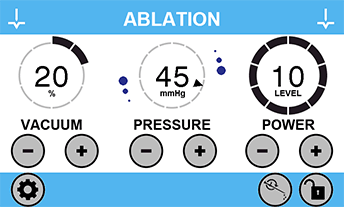 The handpiece has a device recognition feature and will automatically adjust the available modes and settings for each device attached. The LCD display clearly displays the mode of operation for the surgeon and changes color when in RF modes for convenience and ease of use. 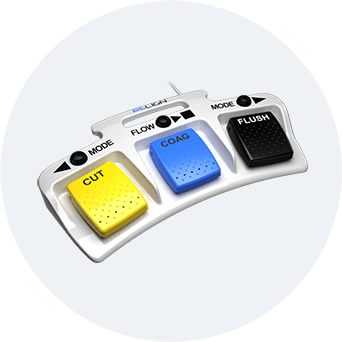 The Tricera Footswitch is ergonomically designed and allows the surgeon to adjust the mode and pump, activate coag and ablation, and flush the joint, all with the familiar configuration of the standard yellow activate pedal on the left and blue coag pedal on the right.